Q-001 Fleeting Moments. 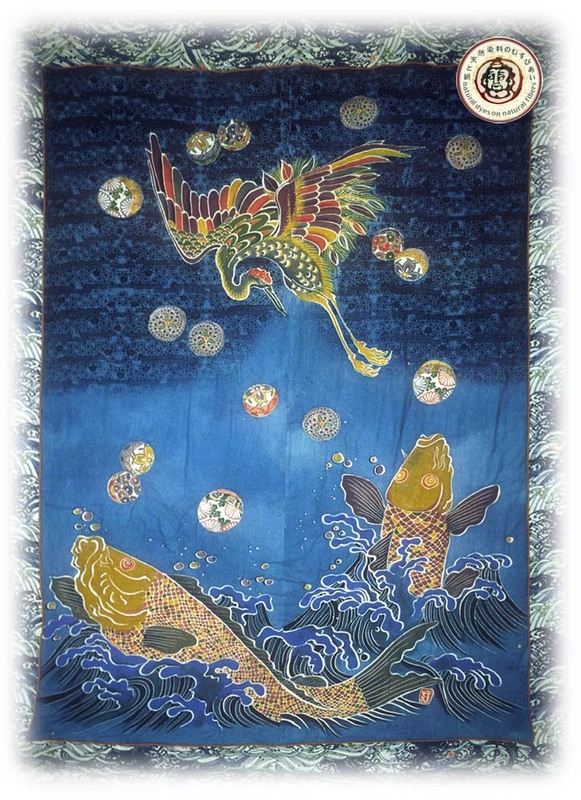 The fish, waves, and crane are all tsutsugaki (cone applied) rice-paste resist. The patterned water drops and the plum blossoms at the top of the piece were applied with rice-paste resist through stencils. Natural dyes throughout.